It seems that the vast majority of the media coverage of Storm Desmond has focused on Cumbria and rightly so as the damage, destruction and tales of human suffering are acute there. But there are also other places which were affected and other stories which need to be told. This little story tells the tale of the ‘wobbly bridge’ at the National Trust’s Allen Banks property in Northumbria. I visited the place in 2012 when I was on holiday and met one of my old colleagues from Wicken Fen Eric Wilton who is now the Lead Ranger in that Area. 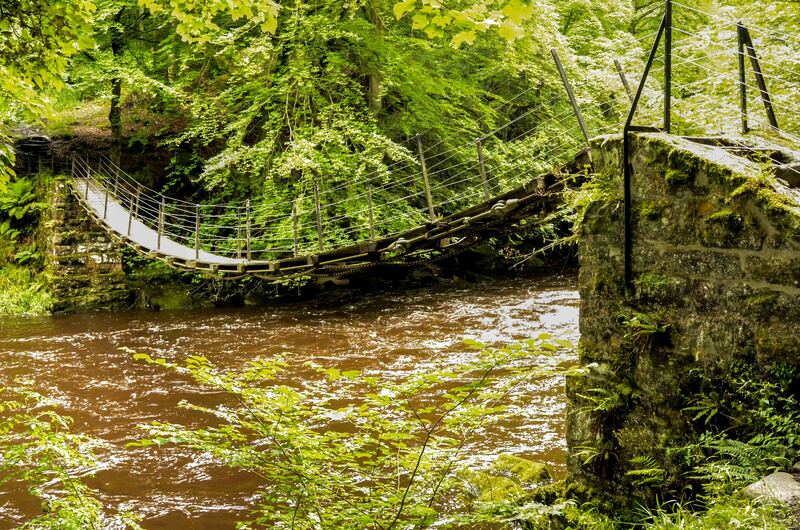 The wobbly bridge (or to give it’s full name, the Victorian Suspension Bridge) is one of the only surviving features of the wilderness garden created in 1850 by Susan Davidson as part of the Ridley Hall estate. So this part of Northumberland has seen a bridge that has survived since 1850 severely damaged in two huge floods – one in 2013 and one in 2015. Two 1 in a 100 year floods in two years. 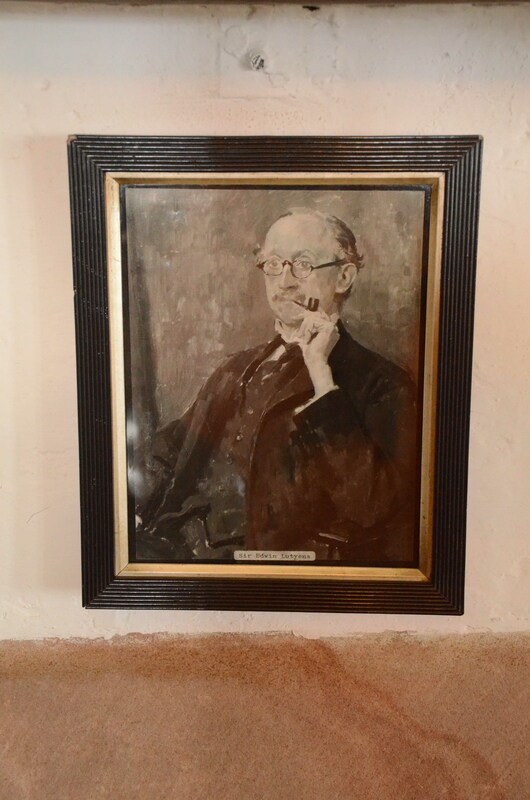 I have lived and breathed Lutyens and Castle Drogo for the last 30 months and as a result I have come across other Lutyens projects most notably his other ‘Castle’ project Lindisfarne. I have been dying to visit it and luckily this summer I was able to on my summer holidays. 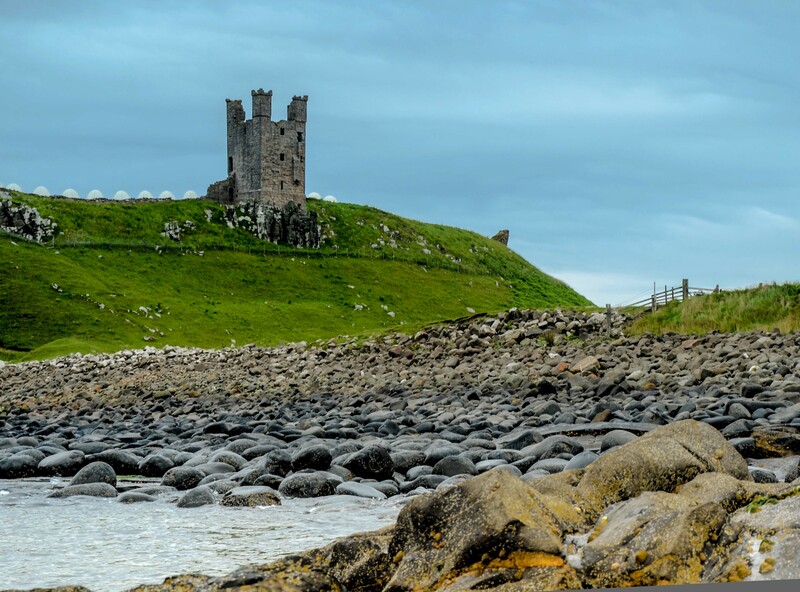 Lindisfarne is an ‘upgrade’ not a new built – so how do the two Castles compare? 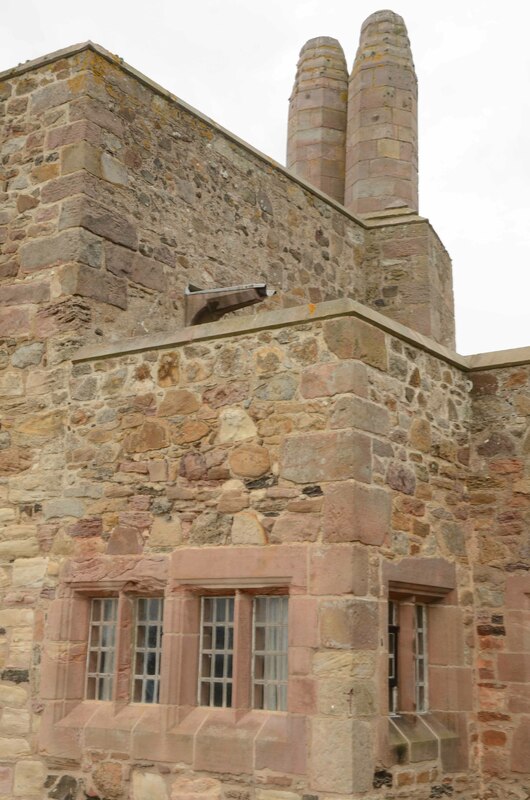 The first thing that strikes you about Lindisfarne is it location – equally as spectacular a Drogo. Located on its rocky knoll on Holy Island in Northumbria Lindisfarne competes well with Drogo located on Dartmoor above the Teign Gorge. Of course Lindisfarne has a longer histroical lineage. 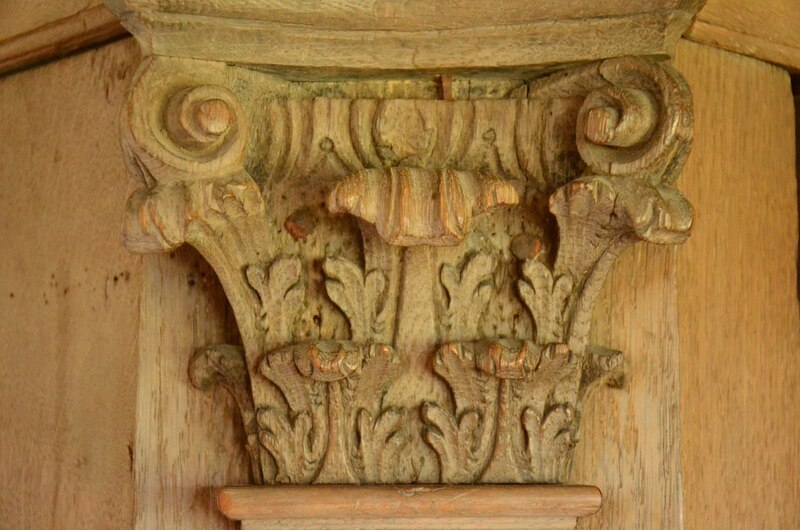 Once within the Castle / house though you can see Lutyens’ thumb prints throughout. 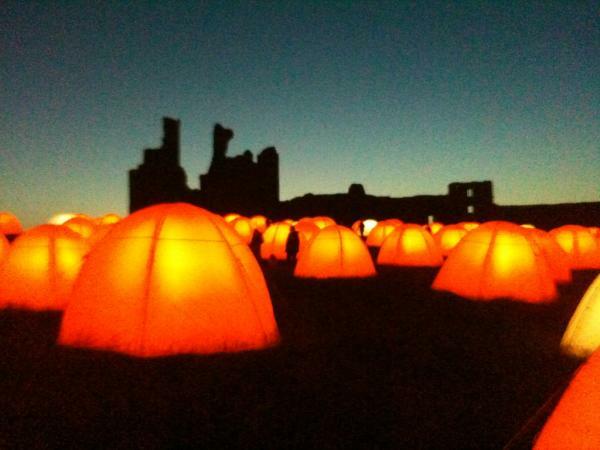 Indeed on many occasions it was rather surreal – was I at Drogo or Lindisfarne? The following pictures I hope make that point and also illustrate the genius and style of our greatest 20th century architect. 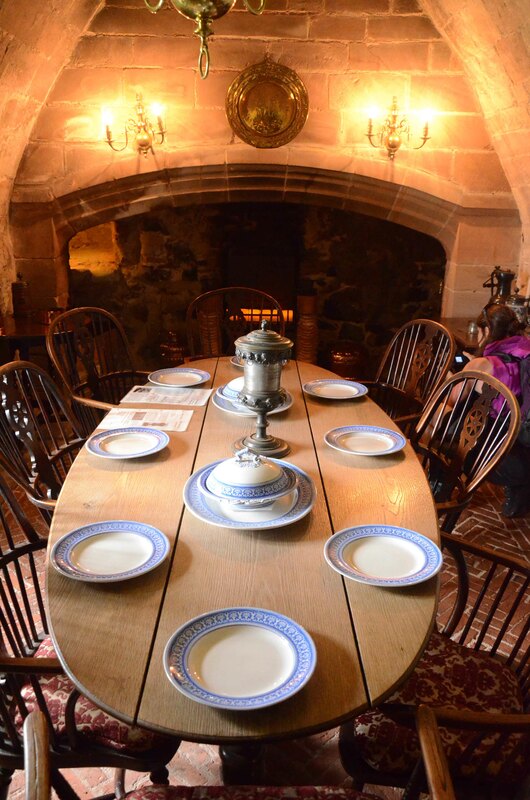 A beautiful Lutyens designed table and fireplace in the dining room. 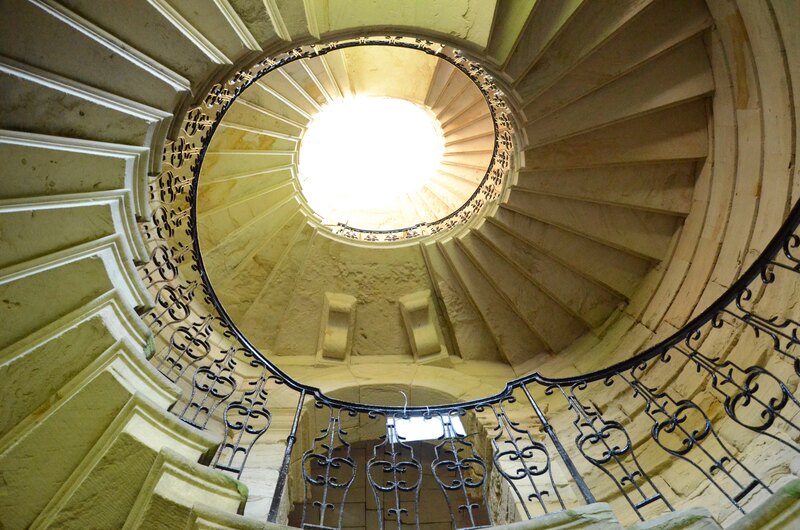 The hand of Lutyens dominates both properties and they are both fantastic, a delight and definately worth a visit. 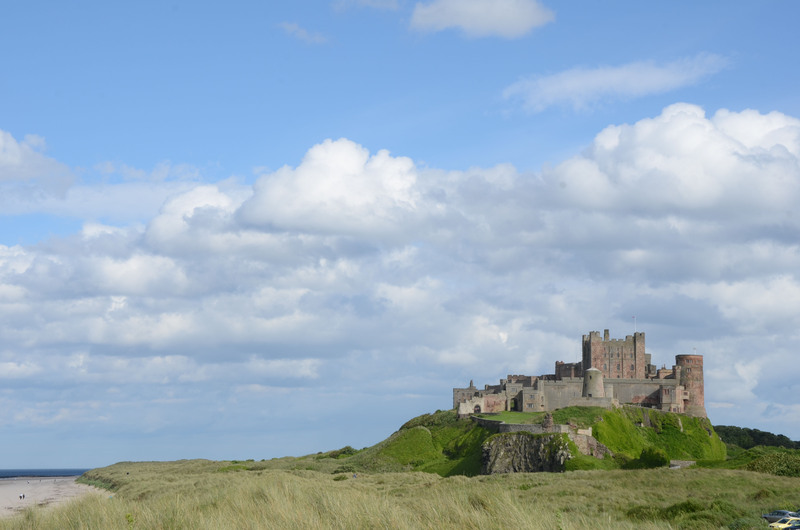 My full photo set of Lindisfarne and Holy Island can be viewed here. In mid July I spent a week in Northumberland on holiday – we had a fantastic holiday and I took over 1600 photographs – I have now ‘processed’ then all. 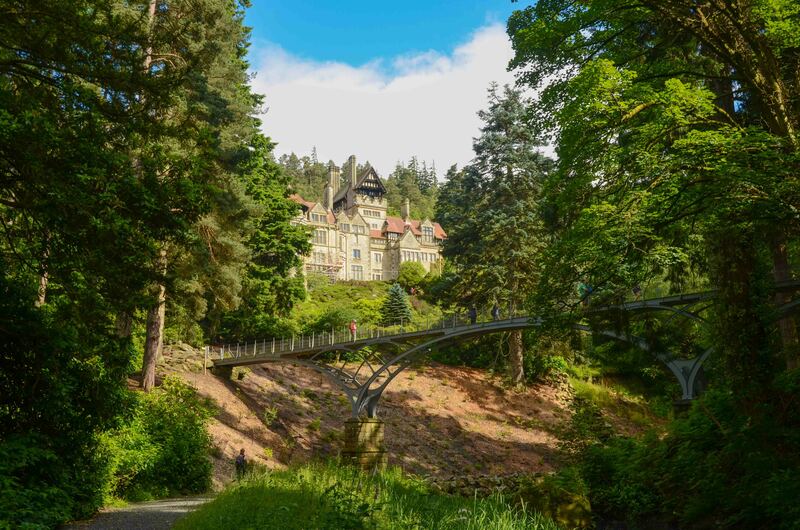 National Trust and heritage properties were at the heart of our trip – I thought you might like to see some of the places and perhaps be inspired to go there yourself. 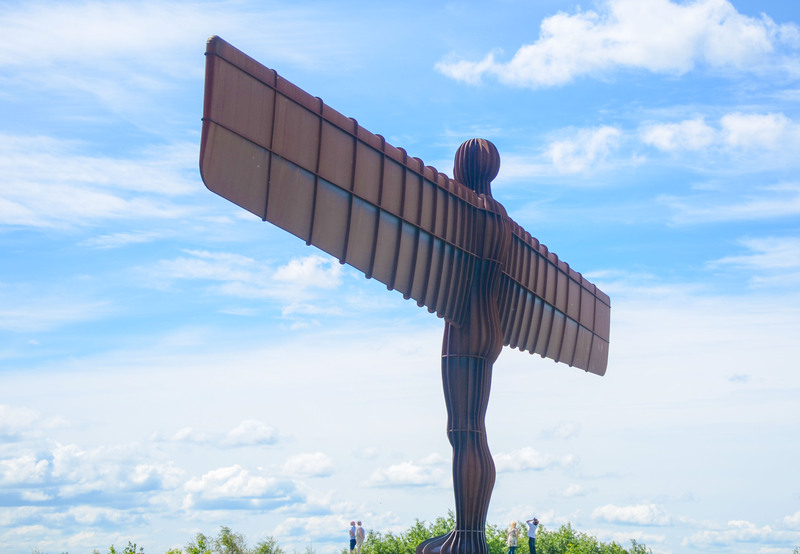 I had never been on holiday to Northumbria before – only passed through on the A1 – I was hugely impressed and will definitely be returning. 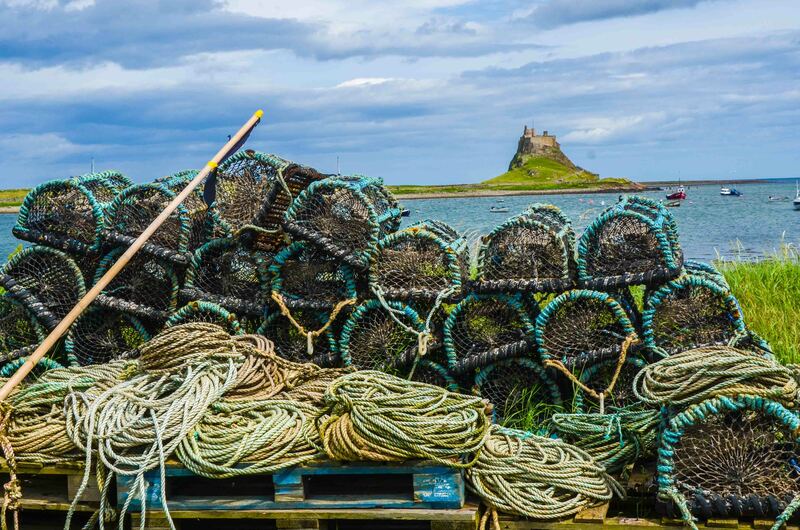 Lindisfarne Castle from the fishing harbour on Holy Island. 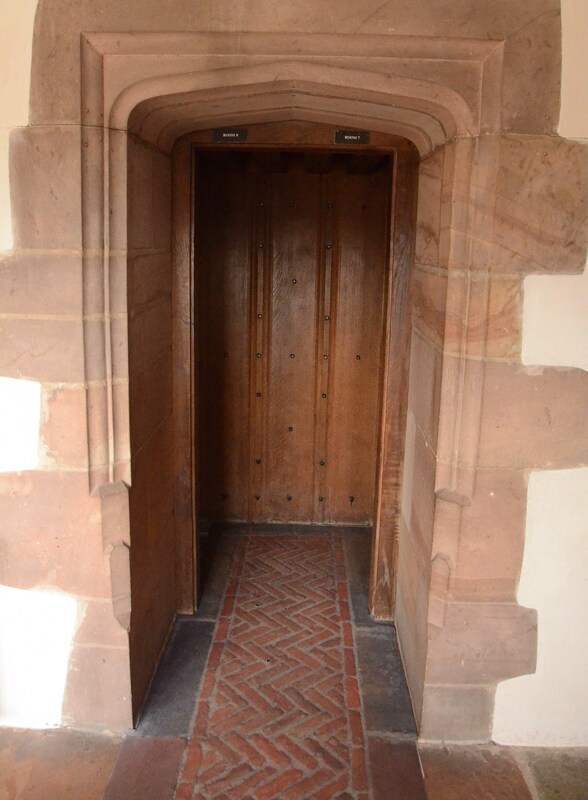 Me – standing outside the main entrance – note the portcullis! 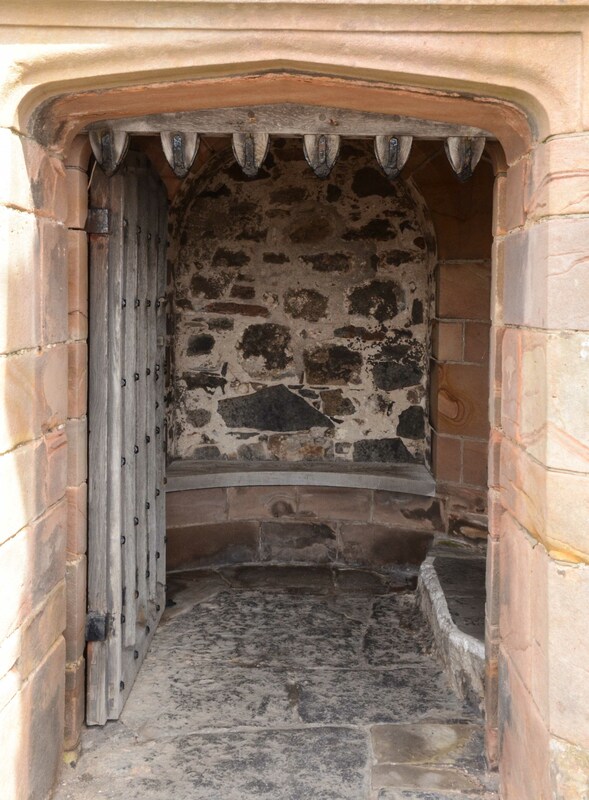 Bamburgh Castle – truly inspirational – fully photo set here. 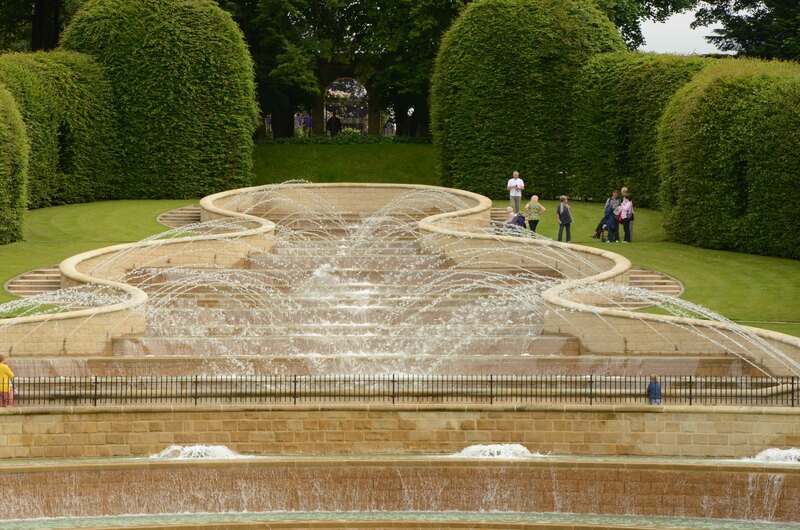 Alnwick Castle – big, big visitor attraction-privately owned – really liked the gardens (recently created), liked the exterior of the Castle but hated the interiors and the visitor experience! Fabulous recently created garden – maybe on the back of Harry Potter?! 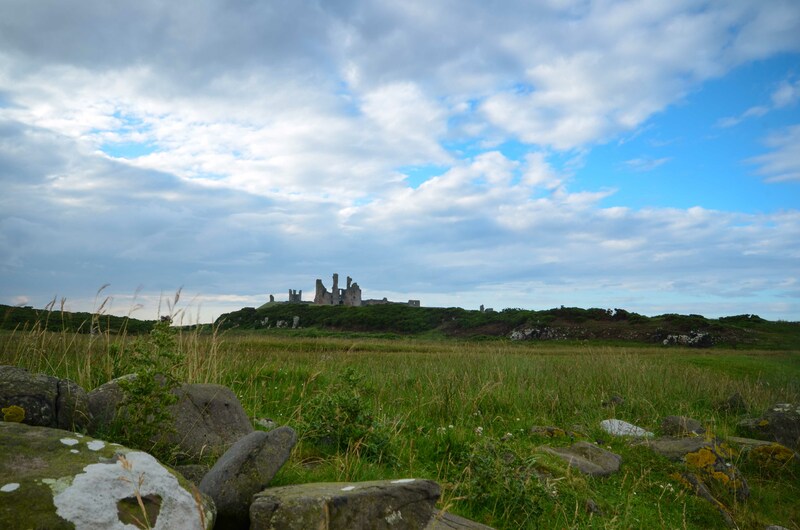 Dunstanburgh Castle – owned by the National Trust – managed by English Heritage – magical place. Full photoset here. 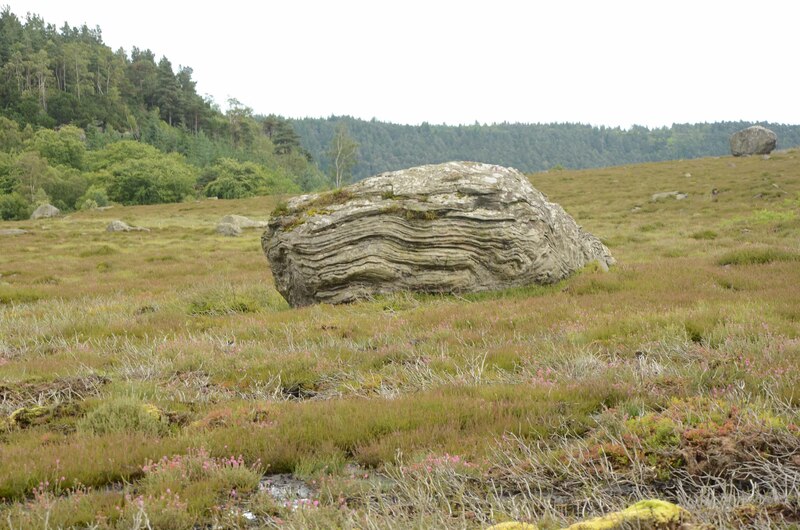 Weds 18th July – trip to Cragside and moorland at Rothbury. 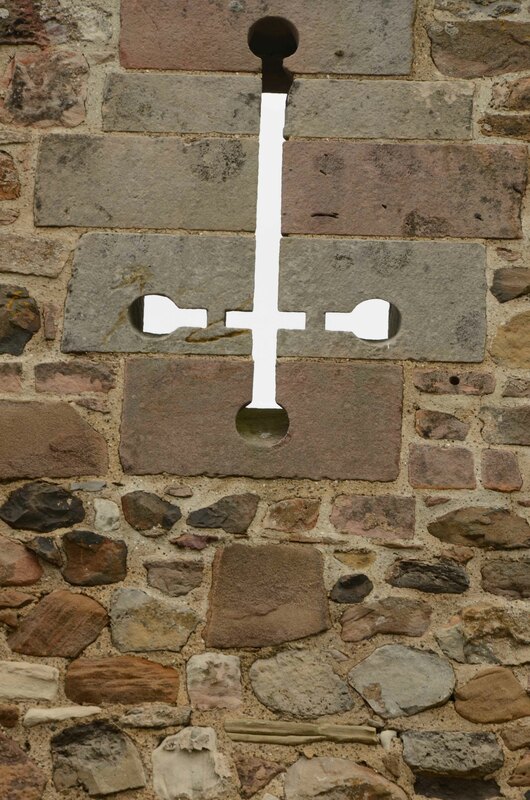 Rothbury photos here (includes school boy humour fingerpost). Cragsite here. Again really loved the building, the gardens, the hydro stuff and estate but hated the interiors – amazingly Property only open a few days a week – really needed to consult NT handbook when we could visit – when it was open it was so so so busy – therefore not very enjoyable. 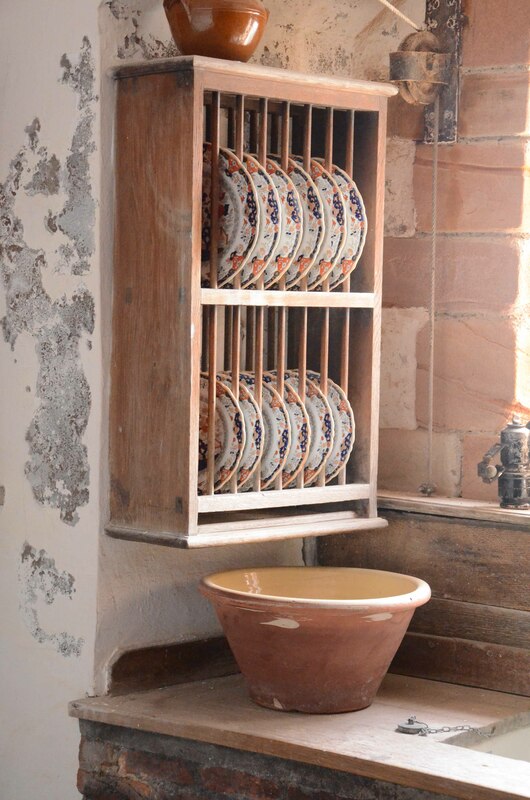 So why do I hate the interiors – I hate the pomp! 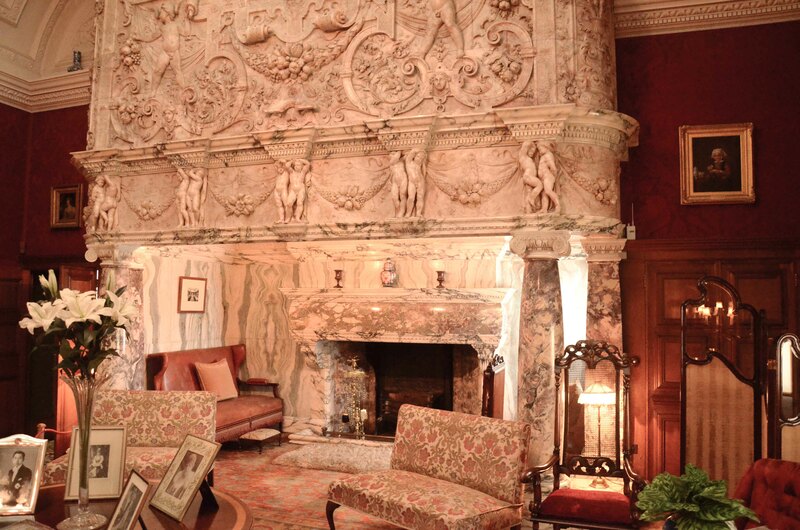 Fireplace – how over the top is that! Hadrian’s Wall Classic destination – wow is it hilly and steep – puts Dartmoor into a cocked hat! Photoset here. We went to the NT / EH Housesteads – long walks and steep but nevertheless loads and loads of visitors – iconic designation – but beware walking along the wall is mighty arduous. 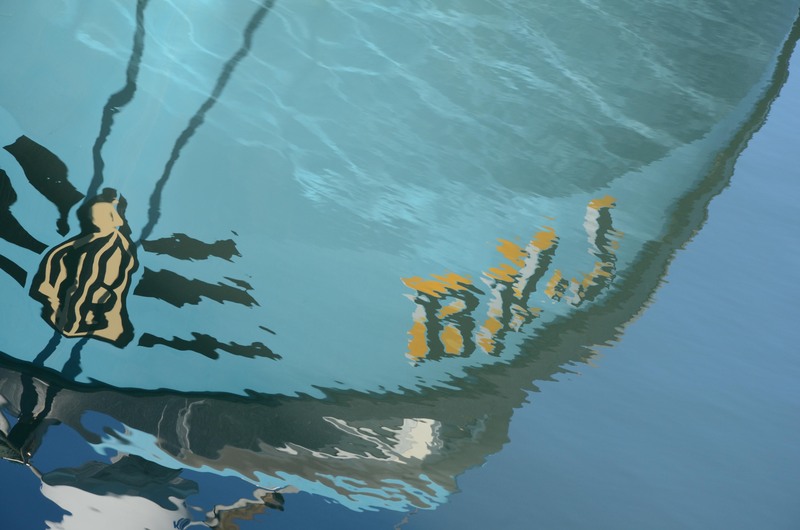 Perhaps the following panorama gives an indication of whats involved! A must visit place nevertheless. At Hadrian’s Wall I met Eric Wilton who had been a placement student when I was a Wicken Fen. He is is now the Countryside Manager for Hadrian’s Wall and various other places in the area. 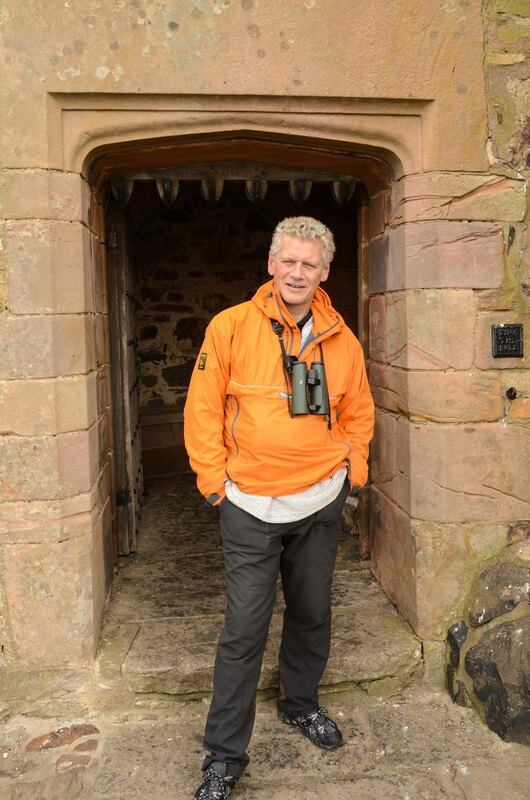 Great to see him again and really great to see him getting on with the National Trust. He recommended various places for us to go next…..
After the Wall we went to Allans Bank – a great National Trust riverside walk. Thanks Eric – good suggestion. First thing was a walk along the beach at Seahouses – expansive sandy beaches -perhaps even better than Devon and Cornwall!! Photoset here. The Farnes – I am ecologist by training so with 15 years with the Wildlife Trusts, 7 years with NT at Wicken Fen and 8 years on Dartmoor this was going to be a highlight for me and it didn’t disappoint. I love islands and this was my first visit to the Farnes. The visitor welcome was exceptional and the wildlife experience was unprecedented – here is my photoset. 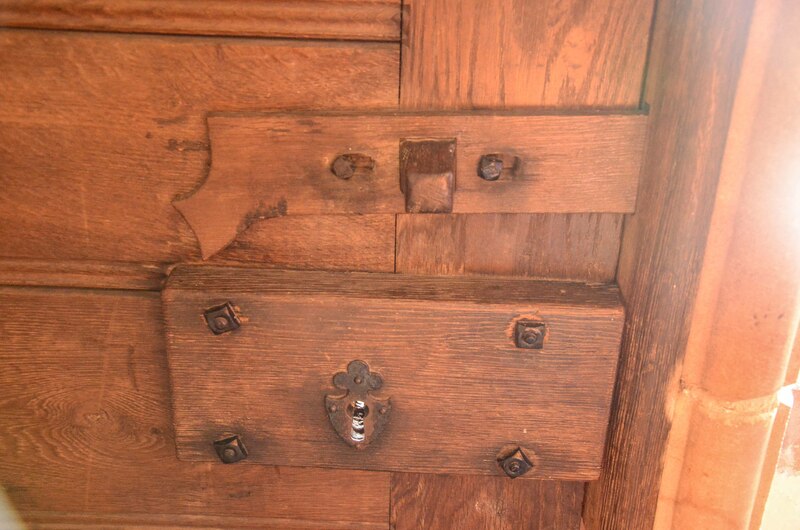 It is the National Trust at its best. Met the Head Ranger David Steel who was very engaging and welcoming and he knew of me from Wicken Fen which was nice! 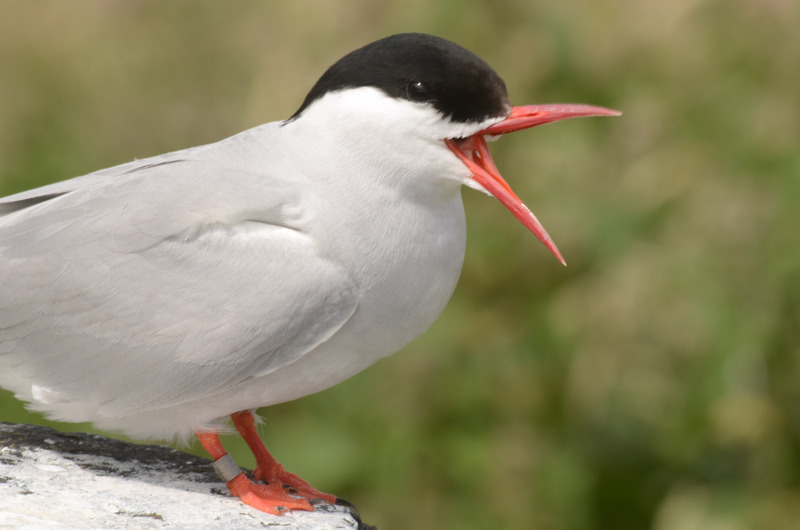 Arctic terns in front of your nose! 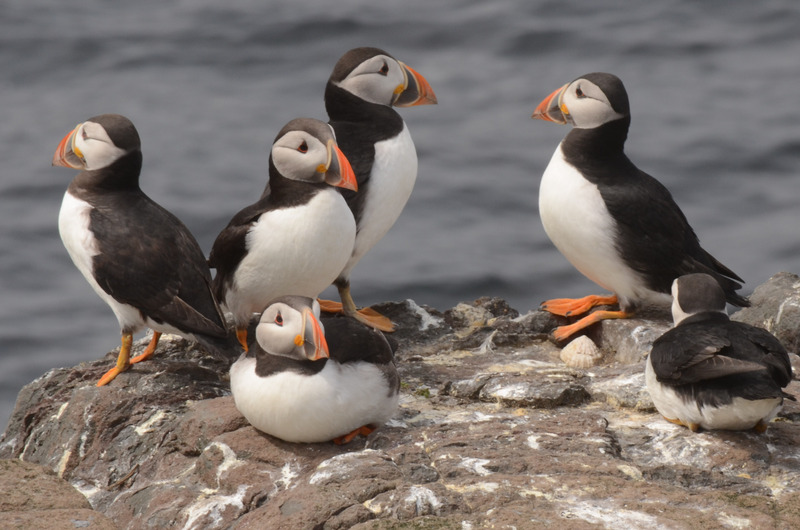 Puffins galore – right in front of you. 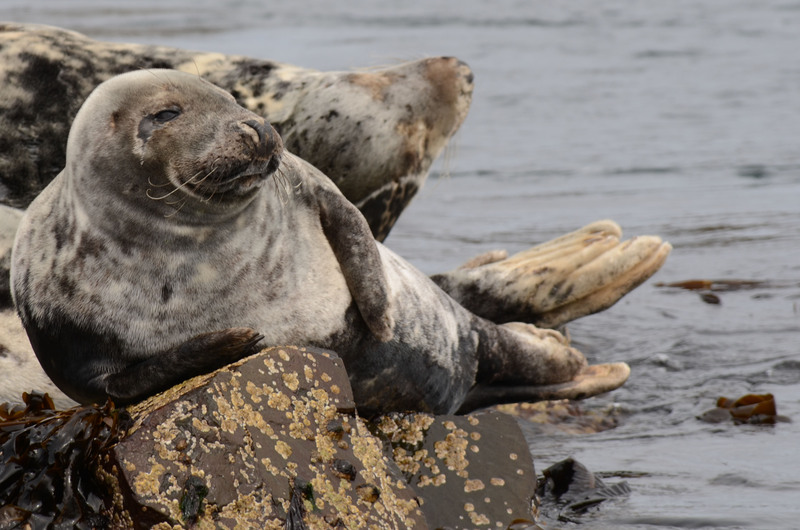 Seals – only a few feet away. 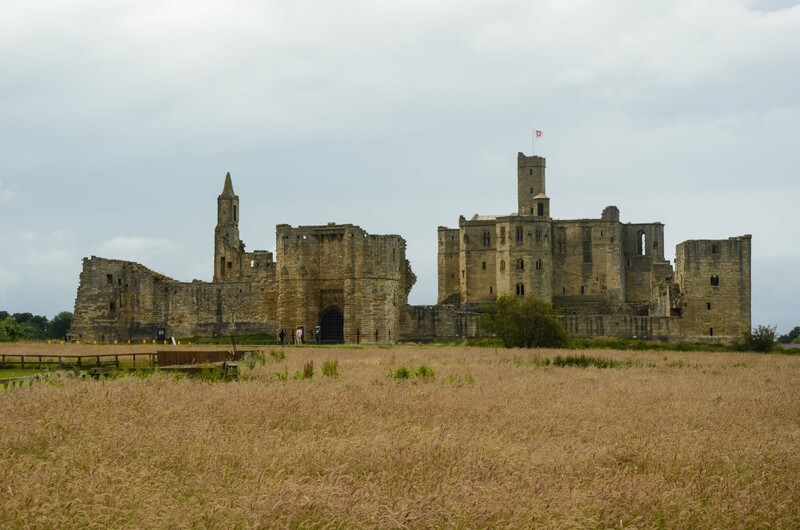 After the excitement of the Farnes we went to Walkworth Castle – fabulous English Heritage property – a medieval Castle in a pretty intact condition. Full photoset here. Was so inspired we joined English Heritage by direct debit of course! Following Walkworth we returned to Beadnell for a walk where we were staying – a lovely beach and harbour. Full photoset here. 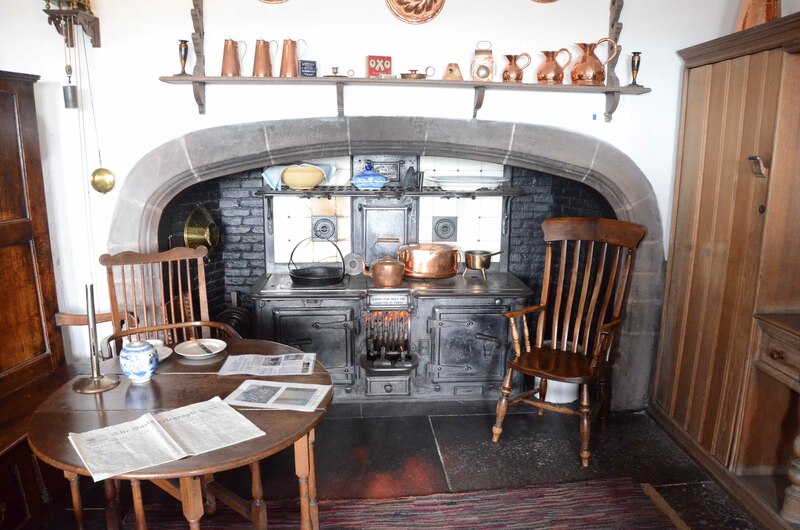 Last day of the Northumberland holiday – a 1 hour sea kayak in Beadnell Bay in the sunshine – unforgettable then packing and a quick stop at Seaton Delaval – the National Trust’s most recent acquisition on the outskirts of Newcastle. Great place – local community at the heart of its plans. Also great architecture. Full photoset here. Great volunteers – friendly and helpful – even though I got told off for taking pictures in the West Wing -where you aren’t supposed to (you can everywhere else). 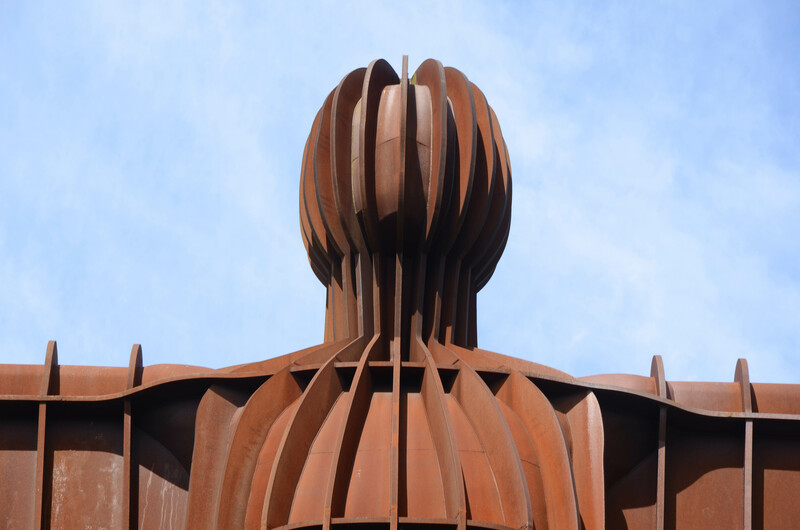 Finally stop – the Angel of the North. I love ‘in your face modern art’ and the Angel doesn’t disappoint. Full photoset here. 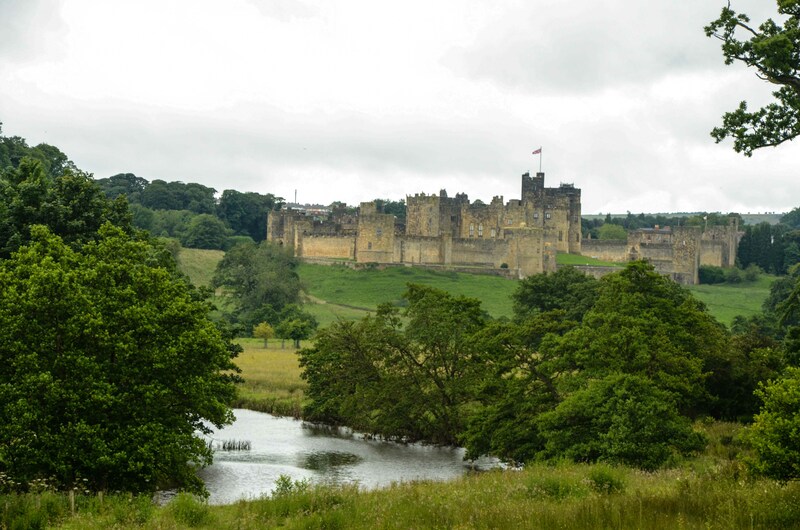 A long post post – Northumberland is great and the NT are doing a great job at a lot of iconic places – I hope this post inspires you to visit the NE – there is loads to do and I don’t think you will be disappointed. A huge thanks to Caroline who organised most of it and poked me in the ribs to ensure we did 5 things every day! We covered a lot of ground! PS when I have said I have hated things – it is not a criticism – it just my taste – sorry if I disappoint.